Users can put an Instagram picture of a place into the easyJet app to find out the best flight options to get there. 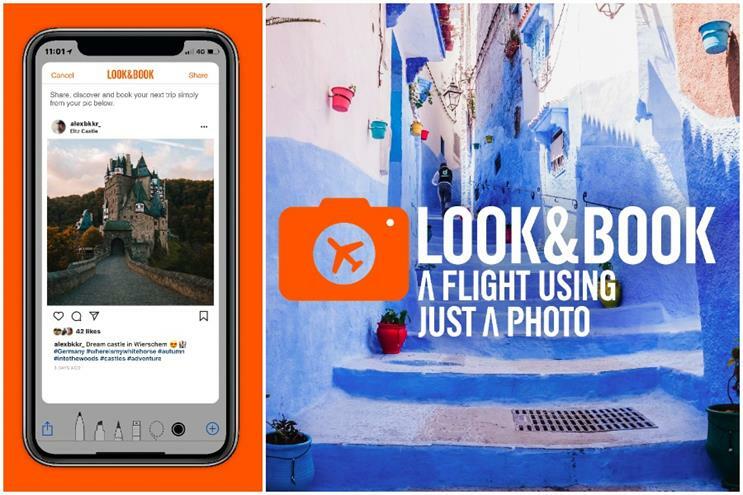 Look&Book currently only works with Instagram but easyJet says it has the potential to plug into other picture-sharing apps such as Snapchat and Pinterest in the future. The tool, created by VCCP, works with Instagram because of the platform’s geotagging information. It is the brainchild of VCCP’s easyJet account director Alex Dalman, who came up with the idea last year while she was using Instagram. Users need to take a screengrab from Instagram and upload it to the easyJet app, when Look&Book will use image-recognition techniques to identify the location. Using Microsoft’s Azure APIs, the app auto-completes the booking fields. Daniel Young, easyJet’s head of digital experience, revealed that the airline had also drawn inspiration from Asos: last year, the fashion retailer created a search function that enabled users to search its catalogue by using a photo of an item of clothing. "We were also aware of what was going on in Instagram – that aspirational feel that when you see a celebrity or a friend doing something fun and wanting to know where they are," Young said. "But what was happening was you find the photo, try and work out where it is, go into Google and find the nearest airport, then go to an airline’s website. We saw an opportunity to close that gap into a seamless process." Built by VCCP in partnership with the airline’s mobile developer Travelport Digital, Look&Book is available on Apple devices from today. The airline is raising awareness with a social media and digital out-of-home campaign. Dalman, meanwhile, explained that it had taken a year from the idea's conception to the launch of the tool. After a prototype was created in January, design, build and user experience work was completed over the summer and the past six weeks have been taken up by testing. She said: "At the start of the project, we were thinking someone must’ve thought of this already… but it turned out no-one could do exactly what we wanted. We need to bring together lots of different bits of tech: AI image search, a geotagging database – and bring that within the easyJet app." 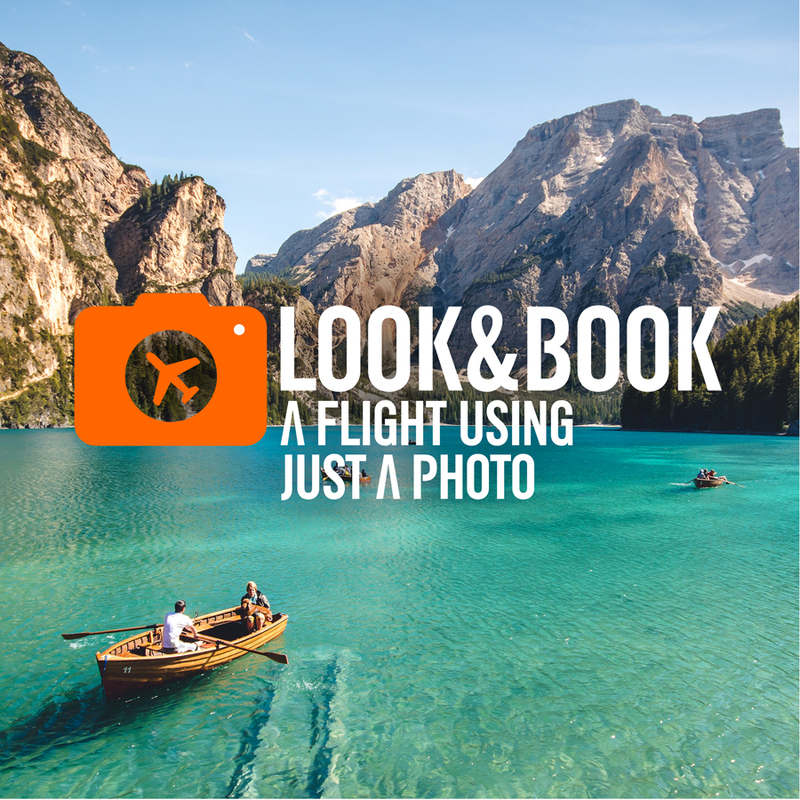 EasyJet is confident about Look&Book creating efficiency by streamlining the customer search and booking experience, but how much demand will there realistically be for impulsively arranging holidays on the basis of a picture? Dalman said: "We’re doing a gradual launch over the next six to eight weeks, where we’ll see spikes in traffic. But, really, the sky’s the limit and this is about behaviour change, much in the same way that Shazam got people into the habit [of finding music through audio]. "It does help with a younger audience coming into use easyJet as well – they want quicker, faster, right now – and we see a huge influence that Instagram has over people’s booking habits."